We hope everyone is enjoying the holiday season thus far. At Vamos a Leer we want to wish everyone joyful celebrations before we take a break until January. Here in Albuquerque the farolitos are already shining the path for Las Posadas celebrations. We hope your holidays are festive and full of life! The Vamos a Leer theme for this month, as written in Keira’s Sobre Deciembre post, is focused on winter celebrations. I was eager to explore children’s and YA literature around this topic in hopes of finding books that are reflective of the diverse familial celebrations, religious and spiritual practices, and cultural traditions throughout Latin America. However, it would be disingenuous to state that this eagerness remained after learning the outcome of the election. Rather, like many others, I began to reflect on the multiple uncertainties that our communities face. More specifically, what will the future hold for those that are from other countries and living in the United States? With everything that I read being filtered through this lens, I decided it was best to reframe the theme a bit. Saludos, todos! Welcome to our last book review of the year. This week I will be reviewing Feliz Navidad, written by José Feliciano and illustrated by David Diaz, to wrap up this month’s holiday themes. This book is written in both Spanish and English and is best for ages 3-7. However, with a sing-song rhythm and dramatic illustrations, it could brighten any home or classroom. WWW: Rhythms Bring the Holiday to Life! Here we are, already in December! This semester just flew right by. Before delving into winter celebrations in Latin America, I just want to quickly extend gratitude to everyone reading, whether you are here for the first time or have been following my posts this entire semester. Thank you for your readership, especially during the busy holiday season that is now upon us (Ahh!). In the past, we have focused our December posts mostly on Las Posadas (you can find a number of our past Las Posadas posts here). This year, I am including a musical playlist to offer both a complement to our presentations of Las Posadas and also a broader view of winter celebrations in Latin America. I have a couple links to feature here that can be used in the classroom or for your own personal knowledge to aid in creating a culturally informed holiday discussion and celebration in your classroom. ¡Buenos días! I hope everyone is enjoying the holiday season! This month I’ve compiled a list of children’s books about winter festivities celebrated in Latin America and Latino communities in the United States. Here at Vamos a Leer we have tons of resources for teaching Latin American and Latino holiday traditions in the classroom. Many of them have been compiled under the heading “Las Posadas,” given that we’ve found many search engines that bring people here just for that topic. Below I’ve compiled a list of ten exemplary books that can help you explore the topic further with your students. I hope you enjoy reading these books as much as I did! En la Clase: ‘Twas Nochebuena. 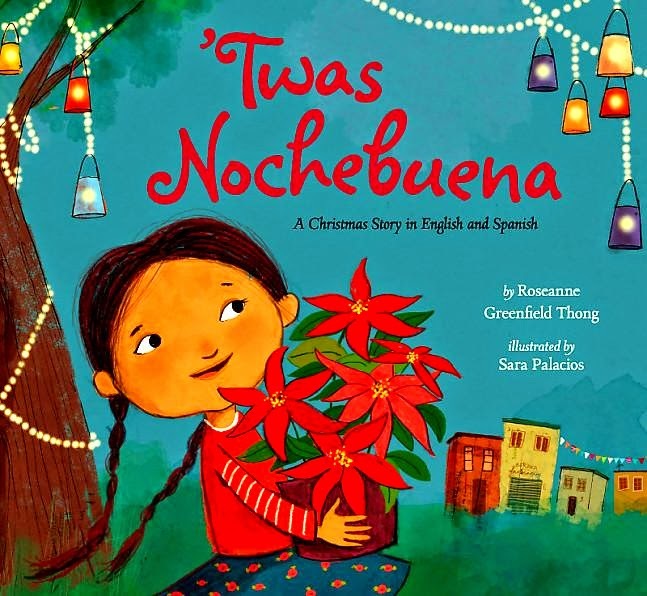 . .
Today’s En la Clase continues our December theme on winter celebrations by sharing how to implement another great children’s book into your teaching. We’ve already shared posts on The Miracle of the First Poinsettia and A Piñata in a Pine Tree. Be sure to check those out for some other fun resources if you missed them. In the spirit of the season, we’re spending our last few weeks of the year by talking about resources for teaching Latin@ and Latin American winter celebrations in the classroom. I could go into more detail about what each of our wonderful bloggers will cover, but suffice it to say that they’re each going to share some superb resources with you to help teach about cultural diversity during the month of December. The idea of using this month to diversify the classroom is not a new topic on this blog. For some of our many past references to this theme, see our posts on “Las Posadas” and other winter celebrations. Enjoy and let us know if there’s anything else we can address for you!